These days, lots of users like to print their text messages for various reasons. From making a hard copy of their tickets to taking a backup of important information, there could be plenty of reasons for printing text messages from iPhone. Most of the professionals also need to take the copy of their receipts or any other important data. Too often, we get queries from our readers, asking “can you print out text messages”. To make things easier for them, we have come up with this informative post. Learn how to print messages from iPhone in three different ways by reading this stepwise tutorial. 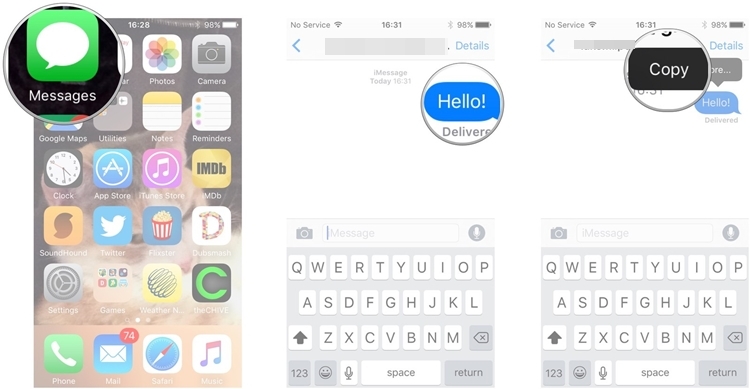 You no longer need to ask someone else, can you print out text messages from iPhone. Simply after taking a screenshot of your messages, you can print them without any trouble. Yes – it is really as easy as it sounds. We all take a screenshot of chats, maps, text messages, and almost anything on our iPhone. 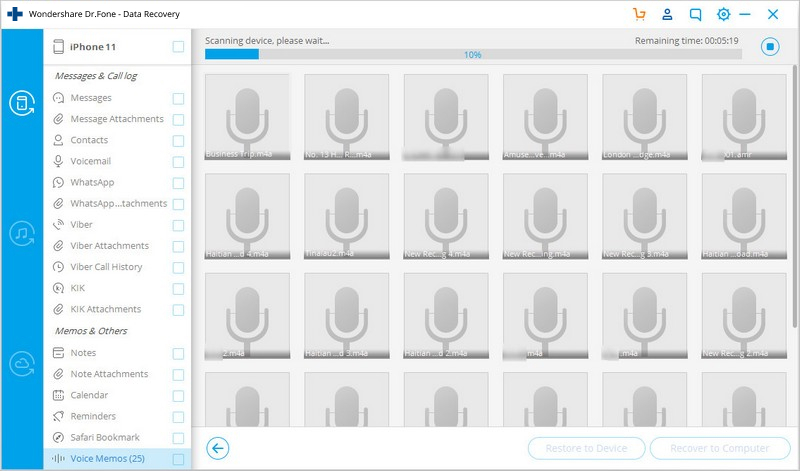 With this technique, you can capture text messages and later print it as per your convenience. 1. Firstly, open the text message that you want to print. 2. Now, press the Power and Home button at the same time to take its screenshot. Make sure that you press both the buttons simultaneously. 3. You can also use the Assistive Touch to take a screenshot. Tap on the Assistive Touch option and go to Device > More > Screenshot to capture your screen. 4. Once it is done, go to the “Photos” app on your device to view your screenshots. You can simply select these messages and send them directly to a printer. Alternatively, you can also send these screenshots to any other device, upload them to iCloud, or just mail them to yourself as well. Just like taking a screenshot, you can also manually copy and paste the text messages to take their print. Printing text message from iPhone with this technique won’t cost anything as well. Though, just like the previous technique, this one is also quite tedious and time-consuming. Firstly, you need to copy your text messages and then mail it to take its print. Don’t worry! It can be done without much trouble. 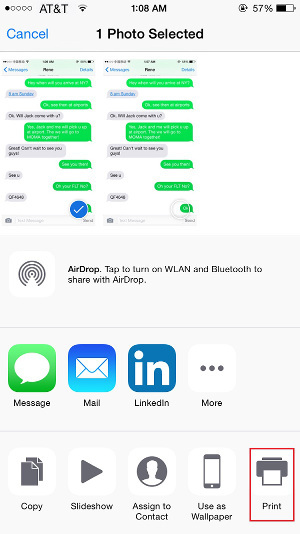 Learn how to print messages from iPhone while following these instructions. 1. Firstly, open the message (or conversation thread) that you want to print. 2. Tap and hold the message you want to print to get various options (copy, forward, speak, and more). 3. Select the “Copy” option to copy the content of the text on the clipboard. You can also select multiple messages as well. 4. 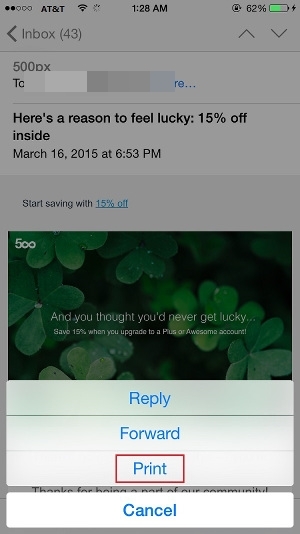 Now open the Mail app on your iOS device and draft a new email. 5. Tap and hold the message body to get various options. 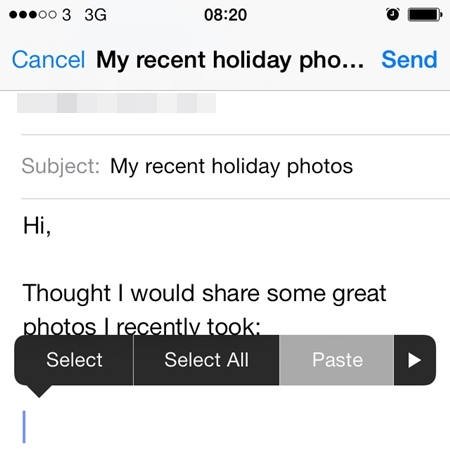 Select the “Paste” button to paste the text message you have just copied. 6. Now, you can simply email it to yourself and later take a print from your system. 7. Alternatively, if you have mailed it to yourself, then you can visit your inbox and open the mail. From here, you can choose to “Print” it as well. Following the above-mentioned techniques while printing text messages from iPhone can be quite tedious. Therefore, you can simply take the assistance of dr.fone - Recover (iOS) and learn how to print messages from iPhone instantly. The tool has a user-friendly interface and is extremely easy to use. 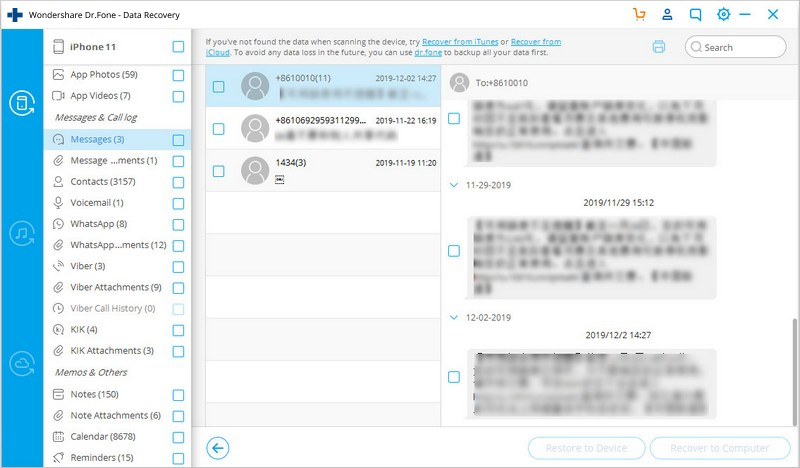 Compatible with all the leading iOS versions, it can readily be used to recover the lost data on iPhone/iPad as well. 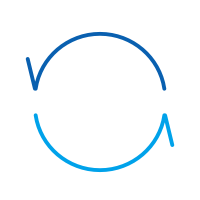 The application is available for every major Windows and Mac system. Though, one can also use its iOS app to recover their lost data files instantly. With just one click, you can perform the desired operation. This also makes it the easiest way to print the existing text messages from iPhone. Follow these simple steps to learn how to print messages from iPhone. 1. Download dr.fone and install it on your computer. Connect your iPhone to the computer and select the option of “Recover” from the welcome screen of dr.fone. 2. From the next window, you can select the data you want to scan on your device. You can select the deleted content, existing content, or both. Furthermore, you can select the kind of data files you want to scan. Click on the “Start Scan” button to commence the process. 3. Wait for a while as the scanning process will take place and retrieve your data. 4. Once it is done, you can just go the “Messages” section on the left panel and preview your messages. 5. 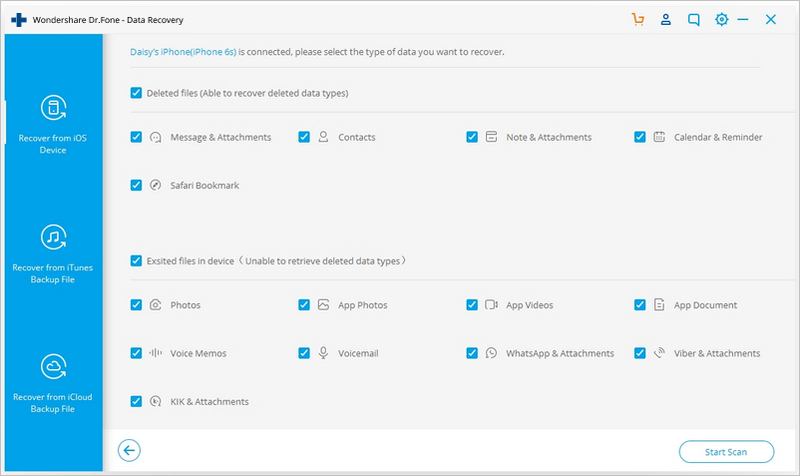 Select the messages of your choice and click on the “Recover to Computer” button. This will store the selected text message on your local storage. 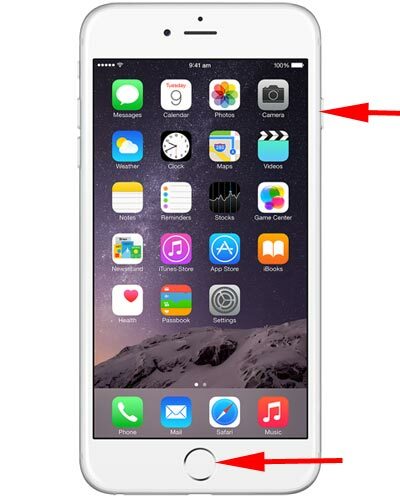 You can also click on the Print icon above the message preview window to print the iPhone messages directly. Now when you know how to print messages from iPhone, you can easily answer if someone asks “can you print out text messages” without any trouble. Out of all the above-stated solutions, we recommend dr.fone - Recover (iOS). It is a highly secure application, which provides instant and effortless results. It will make the process of printing text messages from iPhone quite seamless for you. Feel free to give it a try and let us know about your experience in the comments below. Where are my text messages? Is that the question you often ask? Don't worry. You are not the only one suffering from this problem. This guide shows you an easy way to retrieve delete messages from your Samsung Galaxy S6 and S6 Edge. It only takes you a few minutes. Want to recover text messages from my broken Android phone? You can use Dr.Fone - Broken Android Data Recovery, the world's first Android data recovery software.